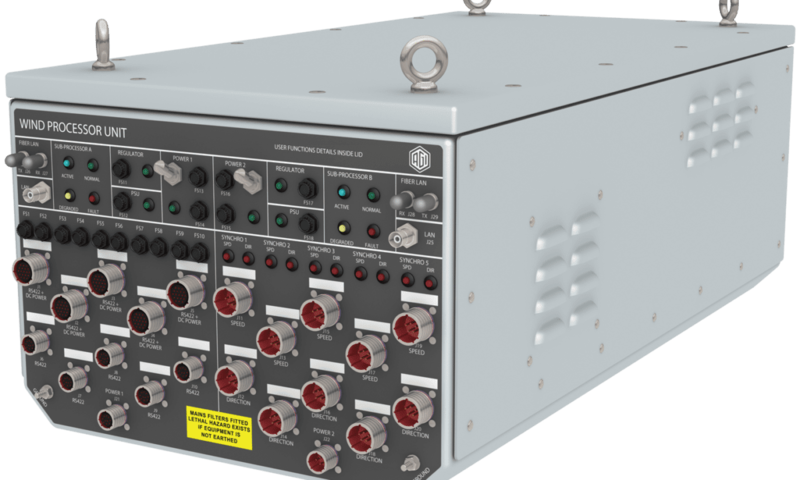 Modern COTS equipment qualified to naval military standards, the digital Moriah Wind System (MWS) has been developed to replace the Type F Windbird Sensors, Data Distribution equipment and Displays on all classes of US naval ships. 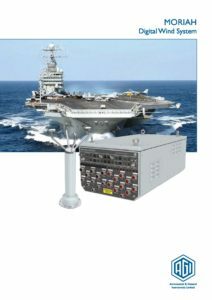 Utilising modern COTS equipment qualified to naval military standards, the digital Moriah Wind System (MWS) has been developed to replace the Type F Windbird Sensors, Data Distribution equipment and Displays on all classes of US naval ships, enabling accurate wind information to be displayed in the same format throughout the fleet. MWS is a solid-state system with no moving parts, so providing a highly accurate, reliable and low cost of ownership system, which is ideal for supporting ship based aviation activities. The system comprises of 1 to 5 Solid State Wind Sensors, Dual Redundant Processor Unit, a range of Multi-Function Color Displays (8.4”, 10.4” and 15.0”) and utility Software/Graphic User Interfaces. In addition full Meteorological capability can be achieved with the inclusion of Air Temperature & Humidity, Air Pressure and Sea Temperature Sensors. The MWS is based on AGI’s AGIMET Naval Wind Measurement and Meteorological System, which is proven and in service with many navies worldwide. The MWS has been expanded to provide greater capability for data distribution, alleviating the need for dedicated re-transmission units. The design is highly modular and has spare capacity for plug-in RS422 modules, LAN modules and Synchro modules, together with spare memory and processor power, which allows for future system expansion, upgrades and refits.